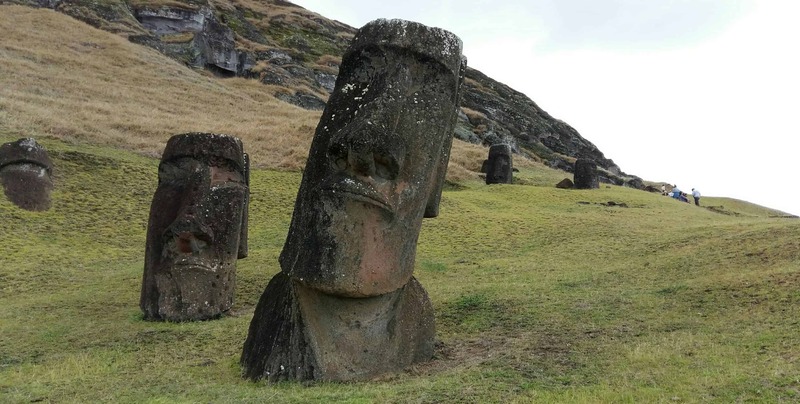 Located almost 4000km from mainland Chile, Easter Island is not an easy destination to get to. You have to fly, either via Santiago or once weekly from Tahiti. It is not a cheap destination to travel to either. But those who go through the effort of coming all the way out here will be rewarded with stunning archaeological sites, from stone heads to temples and caves, and a glimpse into a unique culture. Easter Island is famous for the moai, the stone heads you have seen on pictures. One of your first encounters with those relics will most likely be in the harbour next to the city centre, where two moai are looking down on you. If you want to see more of them, walk north and you will see some restored moai standing on platforms. One even has its white eyes restored. Some other restored moai worth visiting are at Ahu Akhivi, with the seven moai representing the seven explorers who had first arrived on this island. The largest group are the fifteen moai of Aru Tongariki, which is also a great spot for watching the sunrise. All over the island, you will find fallen moai that have been pushed off their platforms as a result of tribal wars. The volcano of Rano Raraku is also the quarry in which the moai were carved. Walking around its slopes, you will find various stone heads in different stages of completion. All of the moai are buried up to their chest. Looking down from the hill, you can see a green path trailing across the island. That is one of the major roads along which the moai were transported to their platforms all over the island. Also, you can walk up to the crater of the volcano. It is a slippery path, especially when wet, but well worth the effort. 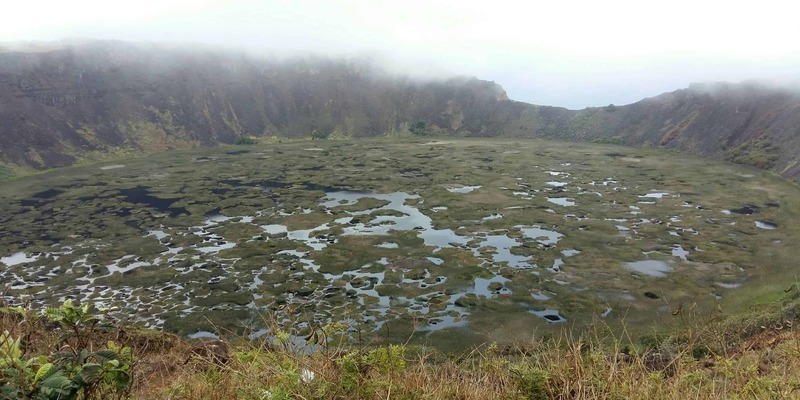 The hike up to Orongo takes about sixty to ninety minutes from the city centre and leads past the crater of Rano Kau, an extinct volcano. Orong was used as a ceremonial village only, with no tribe ever having lived in it. 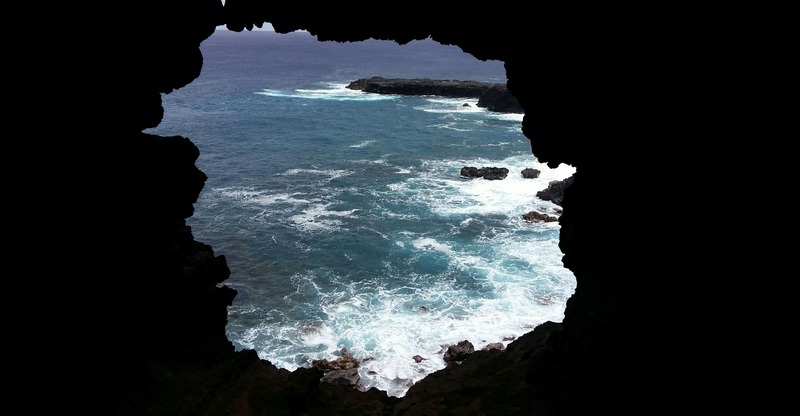 From here, locals started the bird-man competition, a contest in which they had to climb down the steep cliffs, swim through the ocean to one of the islands off the coast and bring back the first egg of the bird nesting there. 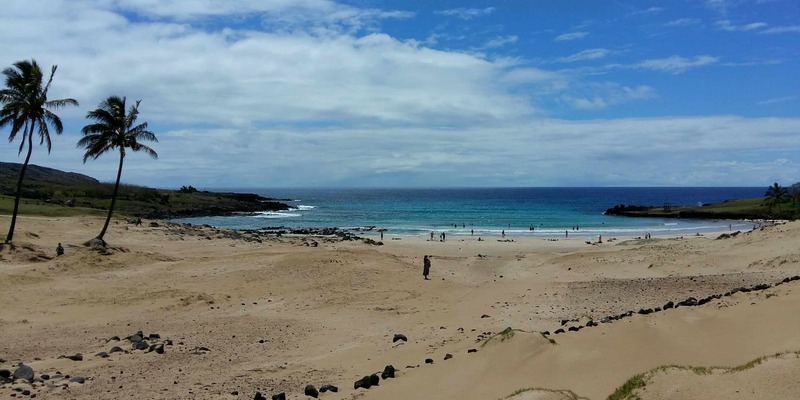 Anakena Beach, located in the island’s north, is Rapa Nui’s only beach. Fringed with palm trees, it almost looks tropical when the sun comes out. You will find a couple of moai here, and if you’re brave enough, you can go swimming in the cold ocean. 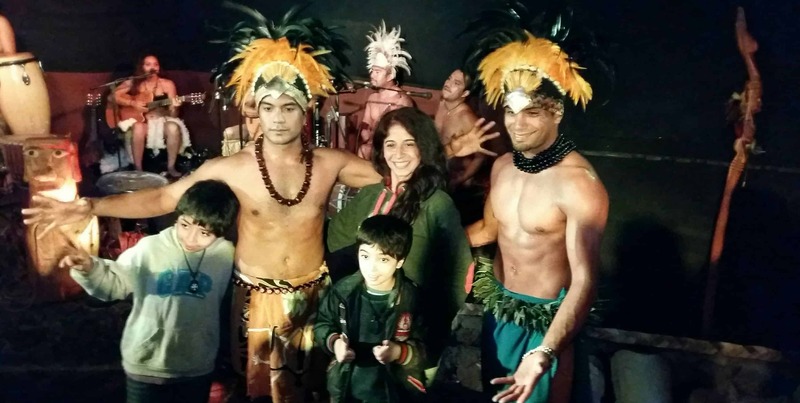 While the traditional dance shows are held only for tourists, they still give a great insight into the culture of Easter Island. If you have a large enough budget, you can even combine it with a traditional dinner. Our dance show included a lot of different dances. Some of them strongly reminded me of other Polynesian dances I had seen before, while others were very different and unique to Rapa Nui. We also got the chance to have our faces painted with traditional designs and to try on typical costums from Easter Island. The caves of Ana Kakenga and Ana Te Pahu can both be visited from the city centre in about half a day. If you have a car, it gets even more convenient and you can drive up to them. Ana Kakenga is a lavatube about 50m long with two openings towards the ocean. Bring a flashlight, it is very dark in there. Ana Te Pahu is much larger and is believed to once have been used to store water. You can hike in between both caves. The local museum in Hanga Roa is well worth a visit if you want to learn more about Easter Island. While the exhibition does not show many locally found objects, they have put together a lot of informative displays explaining about history, culture and traditions of Easter Island. The museum is located in the north of Hanga Roa. 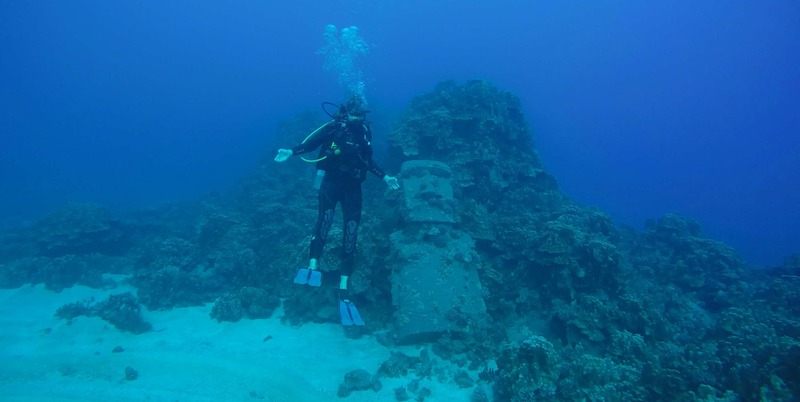 If you have a diving license, you can keep seeing more moai by going underwater. The figure at the bottom of the ocean might not be original (it was made from cement and dropped here not too long ago) but it is still quite cool to see. Visibility is great around Easter Island and while there aren’t too many fish, the ones you do see are pretty. Plus, the rock formations are stunning. If you do not have a diving license but are interested in giving diving a try or getting one, contact the dive shops and they can help you out. So how do you get around Easter Island to see those beautiful sights? The cheapest way is to walk to everything close to Rapa Nui. For the more remote sights, you have several possibilities. You can either rent a bike, a scooter or a car (always inquire about insurance, it might not be available). Bikes are cheapest but can be exhausting to ride with the strong island winds. You also have the possibility of going on a guided tour. We did a full day tour of the island and only paid 25.000 pesos per person since we brought our own lunch (with lunch included, the price would have been 40.000 pesos). The obvious advantage is that you have a guide to give you information about the sites. The last and also most expensive possibility is to take a taxi. You can also combine this with a guide to do your own private tour of the island.